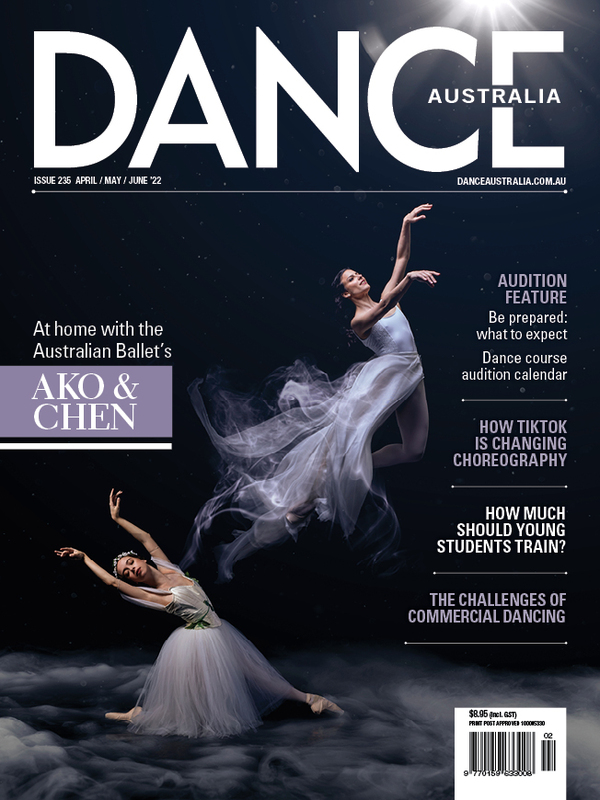 February/March edition of Dance Australia... out now! Which shows were the critics’ favourites in 2018? The February/March edition of Dance Australia has hit the stands, complete with our annual Critics’ Choice survey. Each year we invite dance critics from around Australia to join our own team of writers to spill the beans on the standout shows and artists of the year. It comes complete with a selection of beautiful photos of selected works… not to be missed! What was it like to work with the great Jerome Robbins? Read Sally Clark’s interview with Julio Monge, a former Robbins dancer, to find out! Monge is one of the foremost interpreters of Robbins’s work and was in Sydney last year for auditions for Opera Australia’s forthcoming production of West Side Story. Also in this issue, Karen van Ulzen catches up with Narelle and Huey Benjamin, and their daughter Marlo, ahead of their respective appearances at Dance Massive. This year’s Perth Festival will see STRUT Dance taking audiences on a promenade through a heritage building that has mostly been inaccessible to the public for more than 20 years. Read Nina Levy’s chat to STRUT director Paul Selwyn Norton to find out more. And Tasdance’s new artistic director Adam Wheeler tells Lesley Graham about his plans for the company. Plus there are all our usual features: Ask Emma looks at coping with IBS, our resident dietitian Fiona Sutherland provides advice about how to modify your diet, there’s news from studios around Australia in Class, and we bring you tertiary graduation reviews from NAISDA, New Zealand School of Dance, QUT, WAAPA and The Australian Ballet School. Look out for Dance Australia at your favourite retail outlet, or buy it online here... OR never miss an issue by subscribing here.